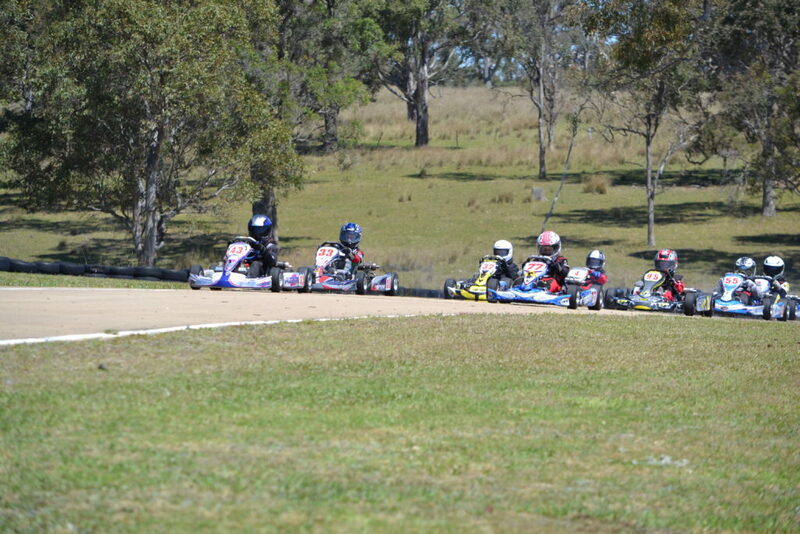 The Sapphire Coast Kart Club will be hosting the annual Sapphire Cup on the first weekend of November and will attract entries from as far away as Sydney, Canberra, Central West NSW and Victoria. The event runs over three days with unofficial practice on Friday 2nd November, and racing from 10.45am Saturday continuing into Sunday. Qualifying has determined the grid at recent club days, and the Sapphire Cup will be no different. “The addition of qualifying at recent events has really mixed things up and created some fantastic racing” a spokesperson said. Other changes for this year’s event include using a different track configuration that cuts out 3 turns making the straight almost twice as long creating some excellent passing opportunities. Many of the local club members are in fine form proving to be very competitive at some big away events such as the Southern Star Series and the State Championships. And some regular club racers have recently recorded break-through wins such as Callum May first over the line with a convincing lead at the last race meeting. Interestingly Sapphire Coast Kart Club has a higher than average percentage of female competitors who are coming in to the event with recent wins and several podiums collected throughout the year. Young Ava Munckton leads the Cadet 9 championship and took home the overall win at the last club day in a field of 7 karts, while Rhylee Jackson recently took home 1st place in Cadet 12 at Canberra’s last club day in field of 13 karts running her pink Evo Kart. Competitors have started pre-entering from surrounding clubs, and no doubt the local field of racers will use their unique knowledge of the Frogs Hollow circuit to match it with the talented field of visitors. The club will have full canteen facilities available over the weekend and spectators are urged to head along and enjoy the meet which has FREE ENTRY. Just look for the Frogs Hollow sign on the Princes Highway 12km south of Bega, or visit www.sckc.com.au or www.facebook.com/SapphireCoastKartClub for more information.